The Nyasa Partnership - Exercise Your Soul – Take Action! Home/Online Publications/Amarantine/Exercise Your Soul – Take Action! In recent years a lot of focus has been put on physical exercise, but not as much time is allocated to focusing on our souls. Our souls are our inner most being, and when we are not focusing on or recognising what they need; we aren’t giving ourselves the same level of exercise that we more frequently give our physical bodies. All fields are required, unless otherwise stated. How did you hear about The Nyasa Partnership? 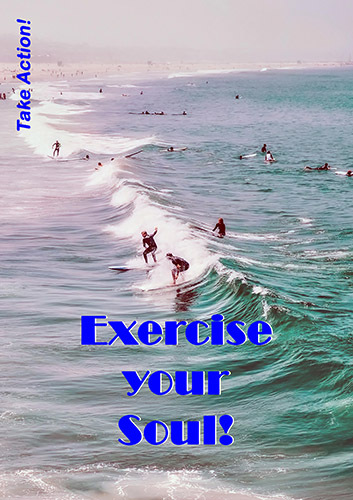 Soul Searching helps you live your BEST life… don’t be afraid! Soul Searching: is this something we all do? By Amarantine|2019-01-27T16:14:08+00:00January 5th, 2018|Amarantine|Comments Off on Exercise Your Soul – Take Action!